Tourism Victoria has released their refreshed online travel hub, Visit Victoria, aimed at boosting tourism and promoting Victoria to travellers. The exciting update to the digital platform aims to bring more people to Victoria than ever and drive engagement with local businesses. It’s now easy for travellers to browse, plan and book their stay through listings on Visit Victoria. Tourism Victoria’s long term digital partner IE was co-located on site with the team for six months. This meant that the combined group, of Tourism Victoria and IE, worked in collaboration and truly functioned as an agile team. IE took Tourism Victoria through an agile plan phase, which consisted of workshops aimed to detail and prioritise requirements, confirm objectives and solidify the project roadmap. The Visit Victoria site was one of the few agile-run government software development projects to come out of the state. Increasingly government is looking to agile as a better way of solving technology problems. By using this methodology and practice, Tourism Victoria was able to reach the best outcome possible in the shortest period of time. 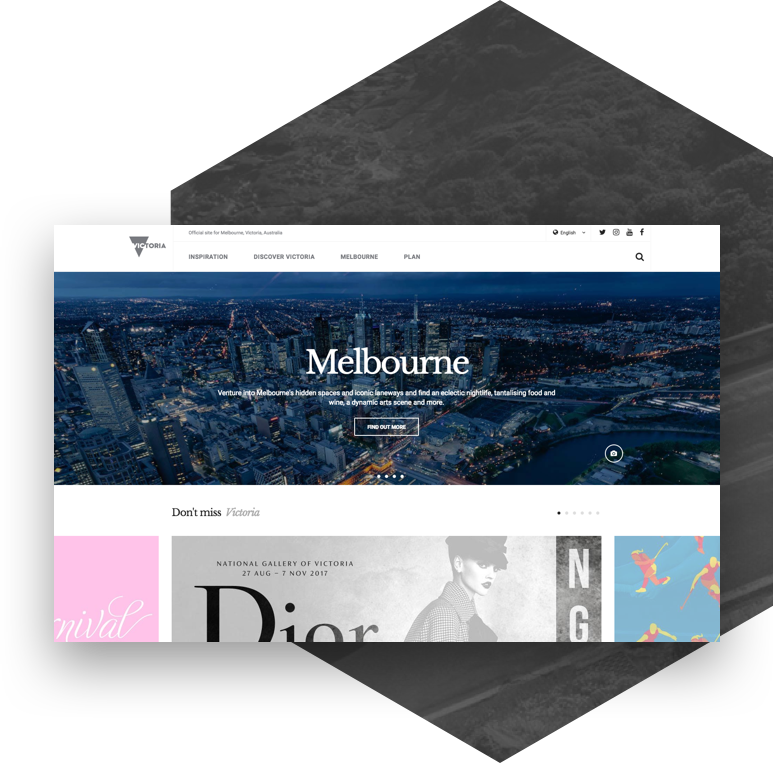 The initial design concepts were created by Clemenger BBDO, and then adapted by Tourism Victoria to suit the responsive design of the site. 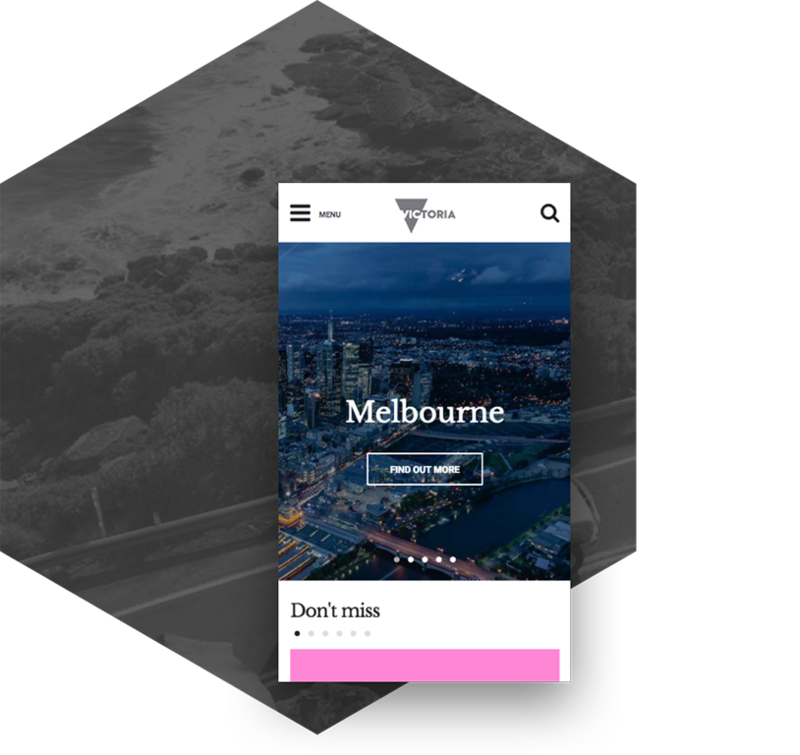 The rebuilt site is sitting on the Sitecore CMS, the obvious platform of choice for Tourism Victoria with its complex personalisation and enterprise content management capabilities. Visit Victoria also now exists in eight different languages for travellers around the globe, they are: French, German, Italian, Korean, Spanish, Chinese (Simplified and Traditional), Japanese and English. Features of the new site include a clean user-experience design (UX); visitors can use the advanced filtering system to easily and quickly find their desired attractions, either by location or category.